Comfort for your dog. Comfort for you. 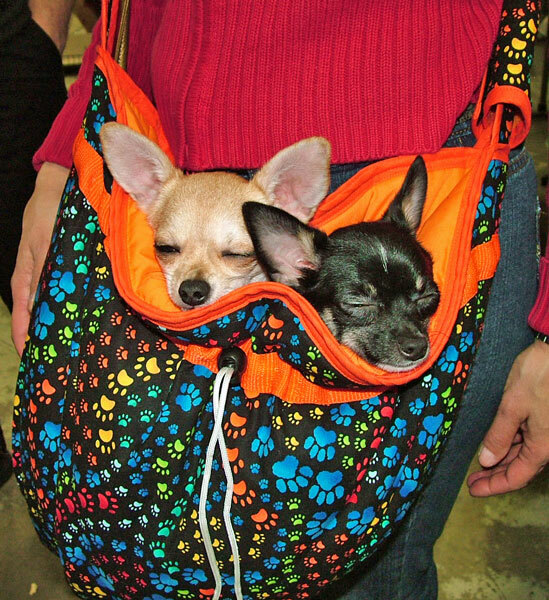 Our Hug-A-Dog® brand carrying bag allows you to keep your pet where they feel most secure -- next to you! 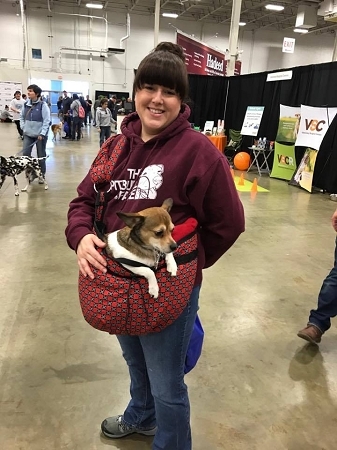 Unlike carriers that force your dog's legs into unnatural positions, the Take-A-Long Bag lets your dog settle into a position that is most comfortable for them. 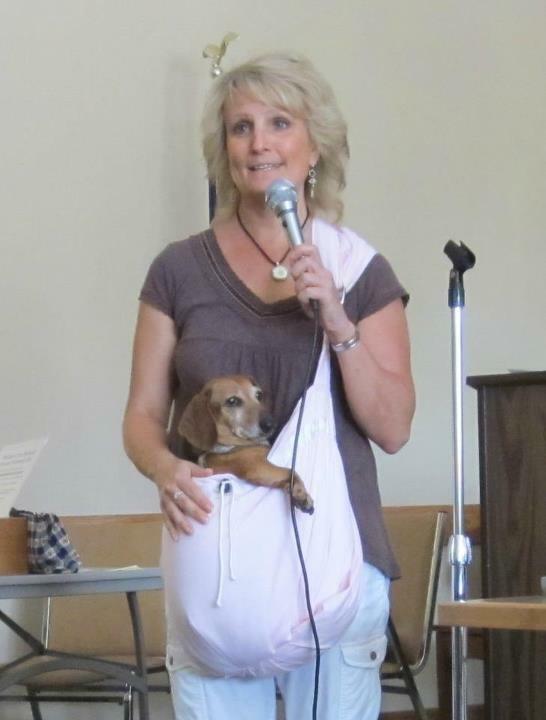 This carrier helps calm dogs with anxieties as it "hugs" the pet close to you. 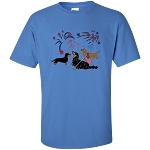 Great for taking your therapy dog to hospital visitations. 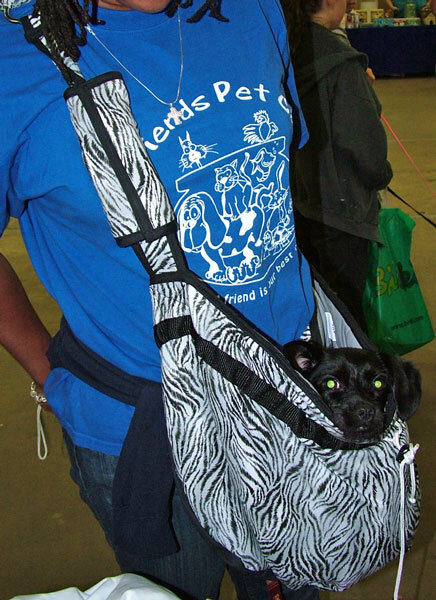 Keeping the pet's weight positioned at waist-height means a carrier that is easier on your back. The Take-A-Long Bags™ are custom-made on order. Please allow 2-3 weeks for delivery. Superior quality and well constructed. My 17 pound piebald loves to be snuggled next to me in his bag. I am still trying to get the straps adjusted so that he sits a little higher on my hip, but he loves to watch the world go by from his holstein print bag. Love this bag. Soft, padded and comfy! Better than another bag I bought. Does not choke your doxie's neck. Lots of room inside. Lots of cute materials to pick! That's the hard part, which material do you choose!! Do I need to get another one made with different material?? We just love the take-a-long. Our little dachshund loves it so much, she runs and jumps in it. It is deep and very soft. It is so well made. She goes everywhere with us. Excellent quality and very well made! 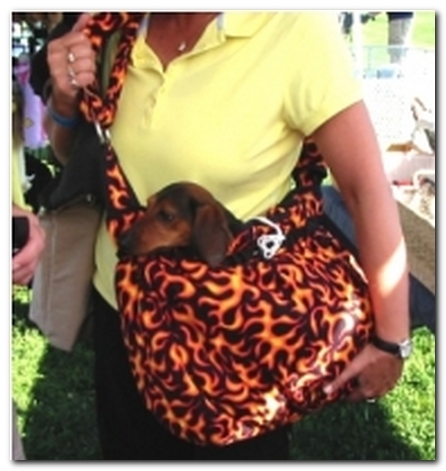 I bought the Take-A-Long Bag for my mini dachshund puppy. He doesn't like being around a lot of people. We were at a gathering when he became anxious. I put him in his bag and within minutes he was calm and able to rejoin the party. I don't know if that is the intended use, but it works for Al-B. I ordered the extra large for my 15lb ShihPoo and I think it's a good size. She has a little room to move around in it. I take it with me when I run some errands and some stores don't like you to pop in with your dog on a leash. But I just put her in the bag and no one says anything! Great product. Loved the quality and the style. Emme loves it because it eliminates people from rushing at her when she is in a shopping cart or on a leash. She is comfortable and secure. Buddy loves his tag-a-long bag. He feels safe and secure. He has issues with being in public and in the bag he is great. No barking or growling. The bag is wonderful and made beautifully. We LOVE it! Thank you. Makes a great bun bag! I purchased this for my little 2lb bunny, and it has worked out wonderfully. 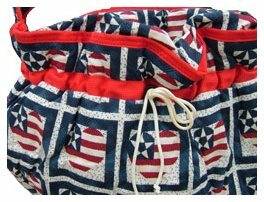 The bag is so well made, is comfortable to wear, and easy to wash. Very pleased with my bag. 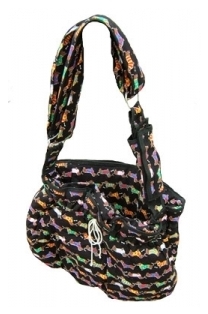 I love this shoulder bag for my toy Poodles. Each one of them adapted to it very quickly. The bag is very well made. I bought a medium for my 8 pound dogs which fits them perfectly. I would buy this product again in a heartbeat! In our home, we call this bag our Snuggy-Snug! The design and quality of this bag is vastly superior to any other type of dog carrier on the market. My teacup Maltipoo, named Lillian, is known for her obsession with her Snuggy-Snug bag. In fact, my dog loves her bag so much, that the guys at the local car dealership beside our home where taking bets as to weather or not my dog had legs. This bag is by far, her favorite item (next to her pink Teddy Bear), and it is my favorite item that I have purchased for her too. The way that the bag is designed provides my dog with the ultimate in comfort. 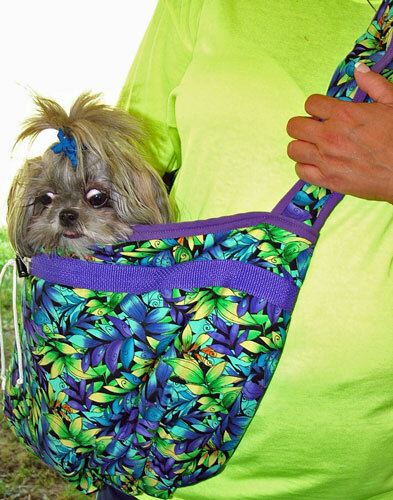 The other bags on the market are often made of synthetic materials like plastic and both the design and maters make the dog in a hot, awkward, and uncomfortable position. In comparison, the soft, cotton, quilted snuggy bag is the human equivalent of a freshly made bed or hammock. I take the Snuggy-Snug bag whenever I leave the house. It is both safer for the dog and easier for me. When I am carrying groceries into the house, I am comforted knowing that Lillian is safely secured in the bag and strapped to me riding in her snuggy bag. I don't have to worry about her roaming into the street or parking lot while I am busy and getting hit by a car. The bag also acts as a security blanket for my dog. When she is frightened by the noise of fireworks, or nervously shaking while at a routine visit to the vet clinic.....she simply hunkers down in her Snuggy-Snug. Sometimes when she isn't feeling well, she wants me to put her into the bag and hold her on my lap. 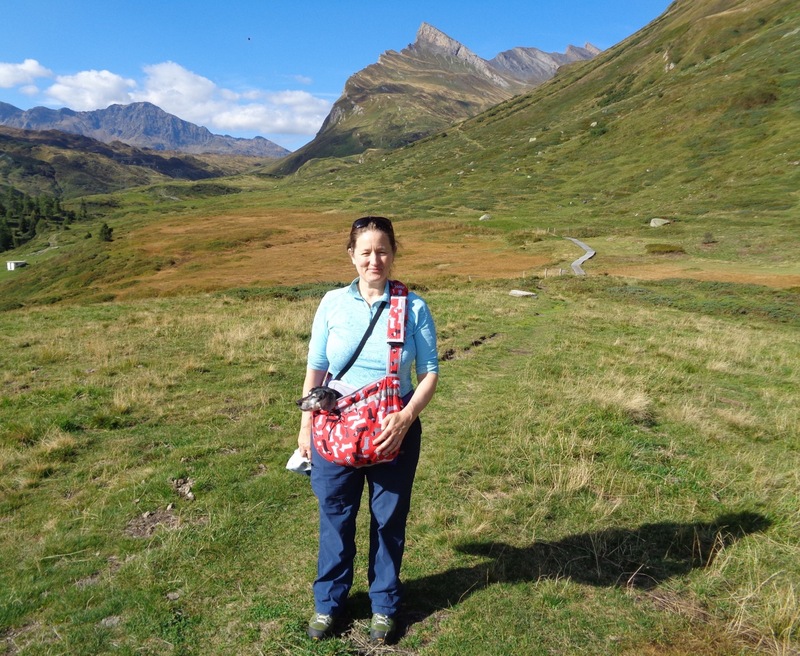 When I take my dog for a walk, I wear the bag. When a bigger dog appears, Lillian signals to be picked up. Once in the bag she is at ease and quieted due to feeling safe and secure. 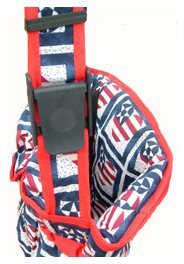 The bag is so well make, that it even provides a safety hook for the dog's harness to keep the dog from jumping, or falling out. Needless to say, I have never had to use that strap. However, I sometimes have to pull her out of the bag to make her walk, and to give myself a break!!! The convince of this bag is beyond anything else on the market. I simply throw her leash, harness, potty bags, and my cell phone into the side pocket and we can walk for hours. I wear the bag across my shoulders like a messenger bag. If I want to walk farther than my small dog is able, I can carrier and have my hands free to talk on the phone or do other tasks. After a haircut at the groomers, Lillian stands on her paws and cries until you put her back into her warm bag. I then have my hands free to write the check for payment. My groomer asked, "how do you keep that dog in a bag?" I asked, "how do you get her out of it?" Let's talk about the superior quality of this bag. 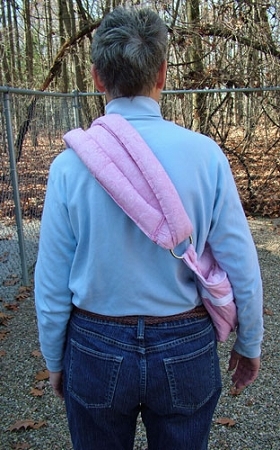 I purchased our very first Snuggy-Snugg bag in 2009. I have place my muddy, smelly dog in this bag so many times after she has chased ducks, or simply rolled in something strange. I have washed this bag so many times over the years that I can't even keep track. It always came out the wash looking perfect and smelling fabulous. The durability of this bag is truly astonishing. 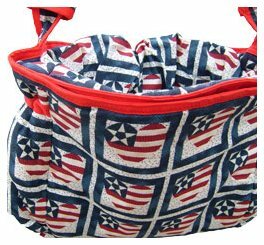 On top of that, the bag comes in every cool fabric that anyone could possibly imagine. 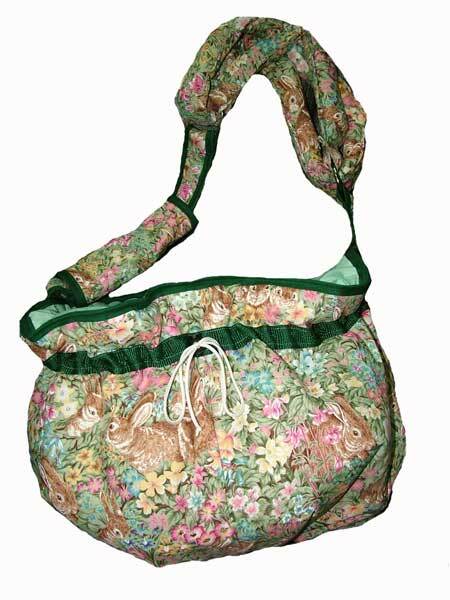 This bag is one of those rare treasures that you hope that they never stop making. It is so well worth the money!!! It is important to note that finally, in 2016, I ripped my very first Snuggy-Snug bag by catching it on a door knob. My first bag lasted 9 years!! It had to be physically destroyed. Otherwise, I sincerely believe that this bag would have lasted forever. I love to stop and talk to neighbors. I can take my time while Lillian relaxes in her bag. We often laugh when she falls asleep in the bag with one paw and head hanging over the side. She looks like a drunken sailor! Due to the superior quality, comfort, safety, and convince of this bag, I simply wouldn't be without it. This bag is an ABSOLUTE ESSENTIAL for safely, protection, and comfort reasons to EVERY small breed, tea-cup, and toy breed dog owner!!! 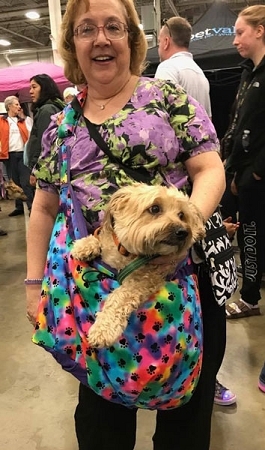 To hear more about my love for this amazing bag...purchase our new book entitled, 'Our love of the Snuggy-Snug Bag...The Greatest Dog Product On Earth.' May Our God Richly Bless The Hands That Make The Snuggy-Snug Bags. I love this bag and so does my doxie. The only issue I had was I did not allow for growth with the first one I purchased so I had to purchase again but that was ok, I love the bags and it gave me a reason to get a different pattern.My baby feels safe and just cuddles right in. I get so many compliments on it as well. I hghly recommend the take a long bag. We can now take our blind Jack Russell Terrier (I know he is not a Doxie) with us when we walk our other dogs. Very comfortable for dog and man. I love this bag and have used it on several occasions with my new little dachshund when it was cold and she was cold after a short walk. I know it will be useful in the future with any of my dachshunds if they are have any kind of trouble. This is my 2nd Take-A-Long Bag. Luv it!! and the pattern on my new one is so fun (You had me at WOOF). Oh yeah. My dog likes it, too. Ha. Thanks again, Dachshund Delights. 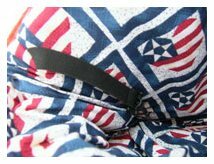 Beautiful bandanna print bag that I keep in the car for whenever I go out to do errands with my 12lb miniature dachshund, Ginny. The bag is comfortably padded, just the right size, and even has a pocket on the side where I can keep a bag of treats for her. A great addition to Ginny's life. Tootsie Loves Her Take-a-Long Bag! The Take-a-Long Bag has been such a blessing for Tootsie's senior years. I just wish I had purchased it earlier! Our Tube of Fur is a mighty hiker, but as she enters her golden era, she needs a bit of help along the path. 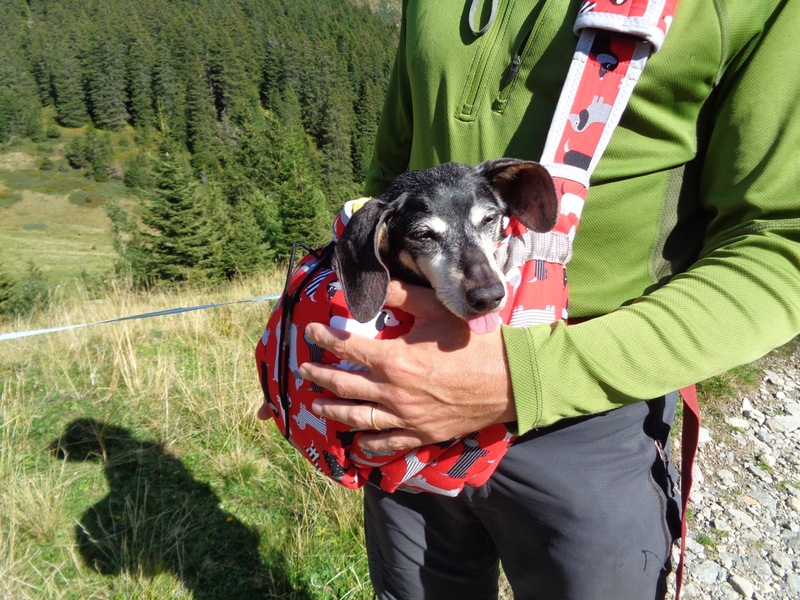 The Take-a-Long Bag saves our backs (so we are not always bending up and down to lift Tootsie up and down), and it means that Tootsie joins us on our hikes for fresh air and fun. 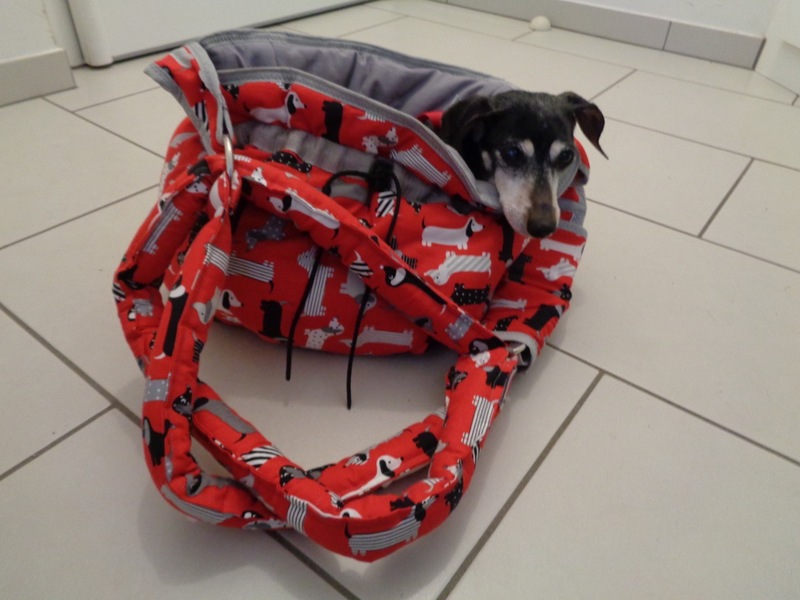 As with all Dachshund Delights products, the bag is handmade with care and love, and it shows in the sturdy construction. It's exceedingly useful in the mountains for a hike or around town for shopping. Almost like a burrow, too! We love this bag. More importantly, Tootsie loves it. Me and my doggie love the bag! He wants to be held all the time and this works perfect for me and hime both!! I can keep him close and have fee hands to do what I need to do. Everyone with a small dog needs one of these!! Great bag! 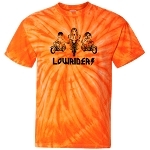 Big selection of fabrics/prints to choose from. Decided on the Black and Tan Paisley and it's gorgeous. My Doxie had one ride in it and he's already feeling super special. My only one suggestion is that I wish the strap was more adjustable. I have the xtra large and wish he could ride a bit higher. I even notice from the website pictures that it rides low which makes it hard to walk or hold underneath. Other than that, it's a super padded comfy bag.